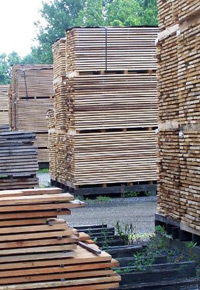 Understanding Lumber Pricing: How Lumber Origin Affects the Cost of Lumber. 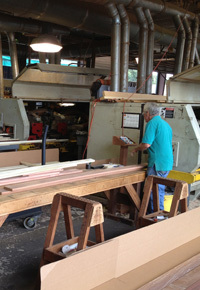 In addition to quality and size, lumber pricing is highly affected by issues surrounding the lumber’s origin. Particularly when it comes to exotic species, we’re often dealing with issues relating to limited seasonal availability, various regulations and associated fees, and the time and cost associated with transporting the lumber to the United States. Because many exotic hardwoods, in particular, are available for us to purchase during only certain times of the year, the price we quote you will reflect its current availability. If you purchase your lumber during times of lower demand and higher supply, you’ll get a far better price than if you wait to purchase when everyone else is vying for the same lumber. With Ipe, the situation is complicated by a harvesting-prohibitive rainy season. Because a year’s worth of Ipe is shipped out during the winter (when demand is extremely low), many suppliers have trouble making room for all the inventory. As a result, if you plan ahead and purchase your Ipe when it’s first coming in, you’ll get a far better price than if you were to wait until spring. Of course, that would mean you’d be tying up valuable capital by purchasing the lumber well in advance of using it for a job — and long before you get paid for that job. It’s the same for us as suppliers: There is cost associated with not having that capital free as well as the risk associated with purchasing pricey lumber well in advance of when (we hope!) it will be sold. It’s almost like comparing a cash-in-hand purchase to a payment-plan purchase: the person with cash in hand is not asking the supplier to take a risk, and so he deserves a discount price. The way business works is that we need to pass along the costs associated with storing and advance purchasing. If we didn’t do that, we could not afford to purchase lumber the way we do. While two exotic species may have very similar appearances and characteristics, those aren’t the only factors influencing the way we price them. We need to consider our cost, and that is largely tied to the species’ origin. How far the lumber has to travel to get to us is only one small part of the picture. For instance, lumber sourced in certain areas of Africa needs to be transported through war-torn areas before it can even be exported. 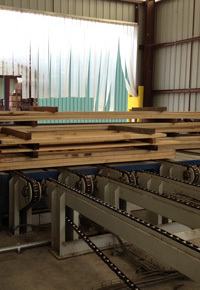 The timeframes and risk factors add to the cost of the lumber and can be unpredictable. In addition to transportation costs, many exotic materials require fees associated with regulatory paperwork and legal compliance. Because we choose to purchase lumber from only time-tested suppliers with a reputation for legally and responsibly harvested lumber, we know we aren’t paying the lowest price possible. Neither will our customers. But at the end of the day, we believe that our careful practices are best for our own reputation, the lumber industry, the global ecosystem, and our own consciences.